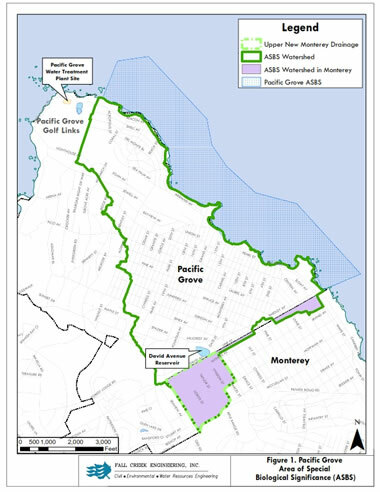 FCE developed a GIS analysis to produce LID bioretention opportunity maps in urban sub-watersheds of the Monterey Bay region. These maps identify potential areas for the implementation of bioretention features to increase stormwater infiltration and groundwater recharge. Mapped urban areas included the Cities of Salinas, Seaside, Santa Cruz, and Watsonville and the Scotts Valley and Soquel Creek Water Districts. Selected areas were prioritized into very high, high, moderate high, and moderate infiltration and recharge potential based on characteristics such as soil type, surface slope, and opportunity to recharge over drafted water supply aquifers. For select catchments, spatial data was used to build a hydrologic model to estimate runoff volumes and infiltration potential based on average annual and design storm rainfall. The opportunity maps, GIS shapefiles, and a GIS modeling tool, are available for partner agencies to apply in planning and implementation projects. 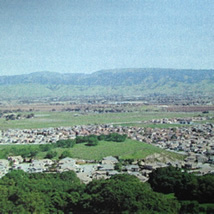 FCE used GIS tools to complete a constraints and opportunities analysis of the MIIS campus and develop a conceptual Low Impact Development (LID) plan to manage stormwater runoff in compliance with the Central Coast Regional Water Quality Control Board’s (CCRWQCB) new post construction requirements. 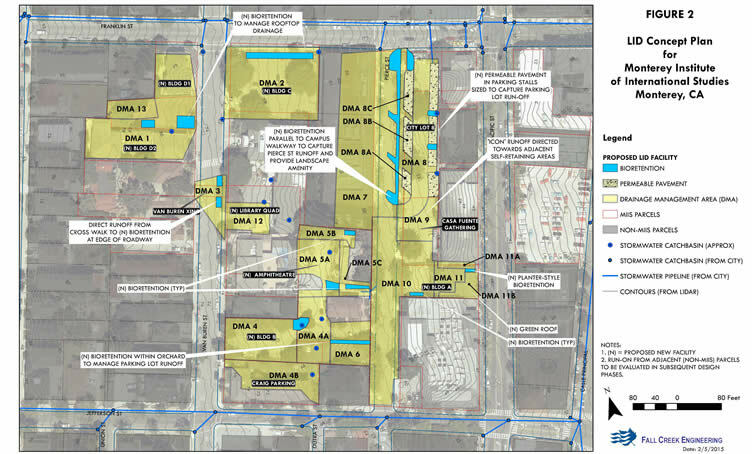 FCE identified innovative locations to incorporate LID practices into the modern site design that will meet water quality requirements while maximizing available space within the dense urban area. FCE lead a multi-displinary effort in the Upper Pajaro River Watershed, one of the largest riverine systems draining to the Monterey Bay, to assess water quality impairments. FCE completed a field based assessment of upland and stream conditions to identify erosion and sedimentation sources. A GIS inventory of field conditions was compiled and used to estimate sediment loads and inform the development of numerical and narrative based TMDL limits. 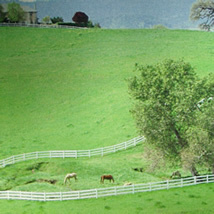 FCE provided watershed-wide recommendations for reducing, managing, and preventing sedimentation from a variety of land uses, including urban development, agricultural lands, and small equestrian lots. The Tomales Bay Region in Marin County, California is one of unsurpassed beauty and environmental diversity. 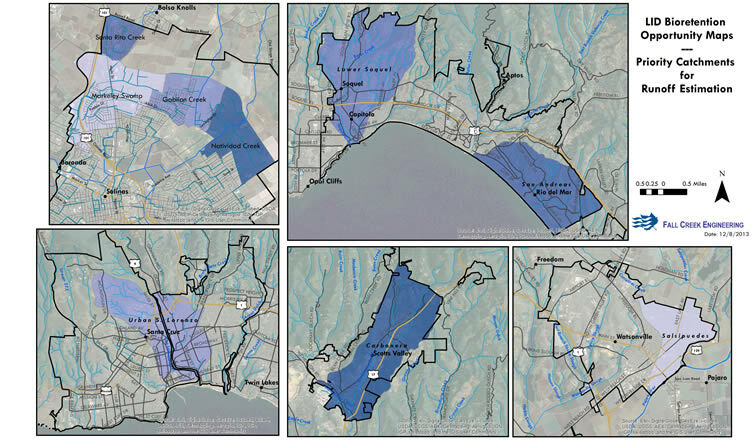 To support an integrated regional planning effort in the region FCE completed assessments within four watersheds draining into Areas of Special Biological Significance (ASBS) consistent with California’s Critical Coastal Areas NPS Watershed Assessments & Action Plan Outline. GIS spatial analysis tools were used to identify existing conditions and catalog field data specifically related to potential impairments to water quality, aquatic life and habitat and prioritize potential restoration opportunities and projects within each of the four areas. 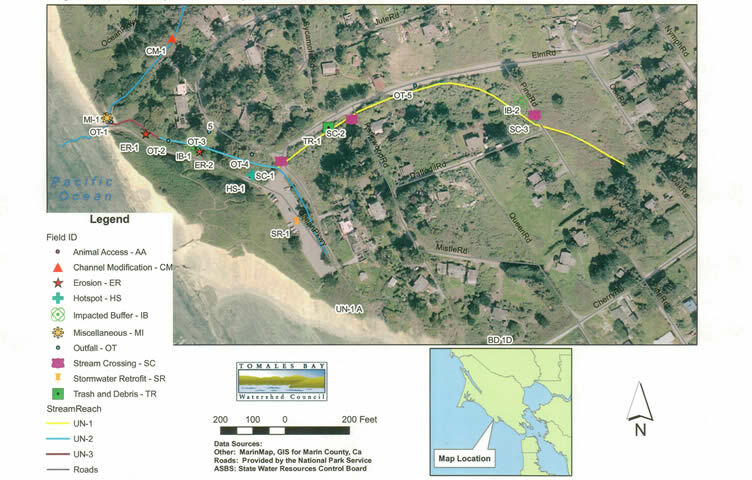 FCE in collaboration with Rincon Consultants prepared 40% Engineering Plans and an accompanying Environmental Impact Report (EIR) to manage and improve the quality of stormwater discharged into the ASBS located along the Pacific Grove coastline. 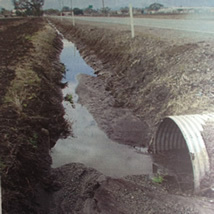 FCE compiled spatial data from across the watershed to review and rank project alternatives and working with the Cities of Monterey and Pacific Grove, and with input from stakeholders, identified a preferred strategy to divert both wet weather and dry weather flows into an upgraded stormwater collection and treatment system. As proposed, flows would be directed to either a new stormwater treatment facility at Pacific Grove Golf Links at the former Pt. Pinos Wastewater Treatment Plant site or to the Monterey Regional Water Pollution Control Agency (MRWPCA) regional wastewater treatment plant in Marina. To support the design effort, FCE prepared a watershed wide hydrologic model using spatial mapping data to estimate design flows and a hydraulic model to simulate flow through the stormdrain system.